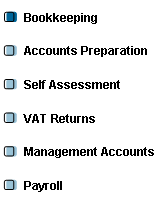 Most people feel that book-keeping and accountancy are the same thing. However, they are very different! Bookkeeping is where your everyday income and expenditure is recorded whereas accountancy is the preparation of your accounts, usually once a year. Every business is advised to keep accurate and up-to-date books. It can provide important information to the business owner such as how much is owed to the business by customers and how much the business owes to suppliers. However, many people find completing their records to be extremely time consuming and tedious. Too often the task is put back to the bottom of the pile. Perhaps not something to admit to at parties, but I actually enjoy doing bookkeeping! I find it very satisfying to take a pile of receipts and invoices and work through them to finish up with an orderly, fully referenced pile ready for filing. I provide a tailored bookkeeping service to suit your needs. Every client is different and I am 100% flexible. For example, I offer a mobile service and am able to complete work on your premises or at my office, reporting back to you on a monthly, quarterly or yearly basis. It may be that you have a system in house that allows you to record receipts and payments and you simply need help with reconciling the bank statements. Or alternatively, you may have nothing and prefer to bring your records up to date once a week or month. Any solution I offer will also take account of your resources and finances. Not all bookkeeping needs to be completed using expensive and complicated accounting software. Microsoft Excel spreadsheets can often be designed to make life simpler and provide a cost effective option. 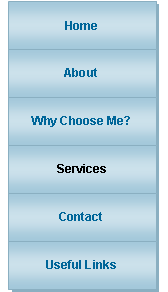 Alternatively you may wish to opt for cloud services such as Xero a solution I can also offer. So why not let me take care of your book-keeping requirements, so that you can free up more time to concentrate on running your business?